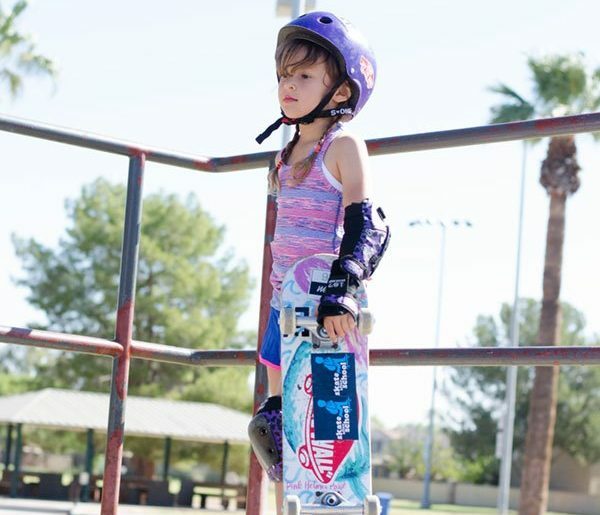 Buying your kids first skateboard can be a pretty hefty investment, especially for parents of little ones. You never know if they are going to give it up within a week’s time, so it’s hard to justify spending $100 or more dollars to get a decent setup. Add in the helmet and pads and you’ve spent a small fortune on something that may end up on Craigslist next month. My daughter asked for her Pink Helmet Posse mermaid board for over a year before she got one. But shortly after starting skateboard lessons we had to replace our bearings, bushings, trucks and wheels, all which came from Amazon. Essentially everything that makes the board go. The board itself was the perfect size and a great quality, but the other items, all very important to skateboarding, weren’t working very well. 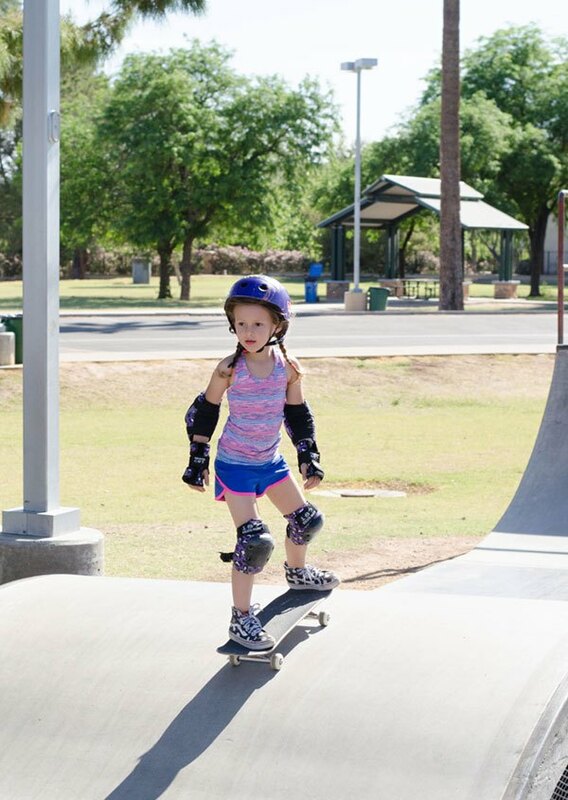 Her board kept veering off to one side, which at first I thought was just because she didn’t know how to ride it, but after her coach tried out and realized it was doing the same for him, we moved on to our upgrades. Starting that day her riding improved a lot! She was skating faster, turning better, her frustration was gone and she was back in the game. Before making your first legit skateboard purchase, BORROW ONE! 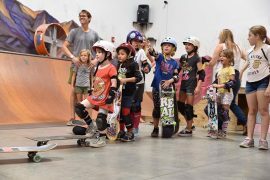 Whether you borrow from a friend a few times or rent a board at a local indoor park, you want to make sure your child actually wants to do this before dropping cash. For the most part every kid I’ve met has stepped on a board once and fell in love, but there have been a few who knew, even just looking at the board, it wasn’t for them. Don’t push them into it, it’s not helping you, or them! This is definitely something you need to have a passion for. Buy the right board and set them up for success. If your kiddo is serious about wanting to skateboard, buying the first thing you see at Target or Walmart is not the way to go. 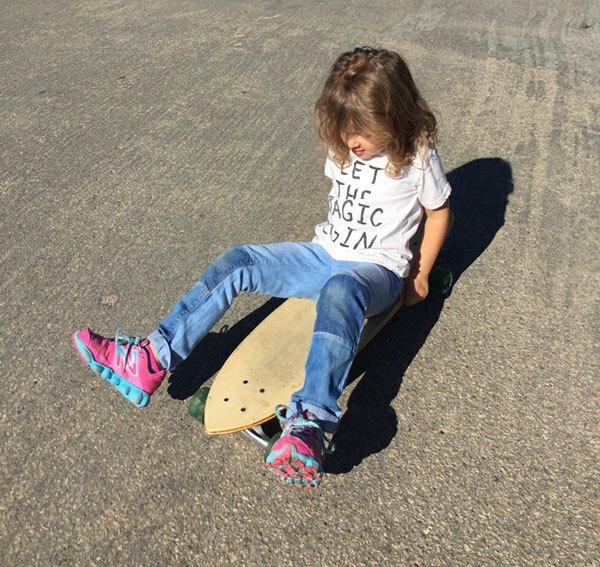 Buying an inexpensive board can, and will, lead to frustration and potentially make your child want to give up. Visit your local skate shop. Before shopping online, shop a local skateboard shop. Shipping on a skateboard deck can sometimes cost more than the deck alone. A local shop will have people who can tell you exactly what you need and if they have it in stock before going online. You can sometimes save money by buying a blank deck (a skateboard deck without art on it) and letting your kiddo sticker it up because let’s face it, the board will get covered in stickers whether or not it already has art on it. Just look at that mermaid board we HAD to have. If you do choose to purchase online I highly recommend shopping Pink Helmet Posse or Skate XS. Even if you aren’t purchasing there, visit both sites to determine the best size board for your child before taking the leap. Size does matter friends! I had planned on covering size on this post, but I think I’ll leave that to the experts. Complete or build your own? Skate shops typically offer some styles of “complete” skateboards that are already built. Just pay and play, nice and simple. But if you’ve got a creative kid on your hands who wants clear grip tape, pink wheels and HAS to have independent trucks you’ll probably want to “build your own” meaning, pick out all the parts and have the shop build it for you, unless you are experienced and have the right tools. Don’t worry, you’ll get the hang of all this skate lingo one of these days. 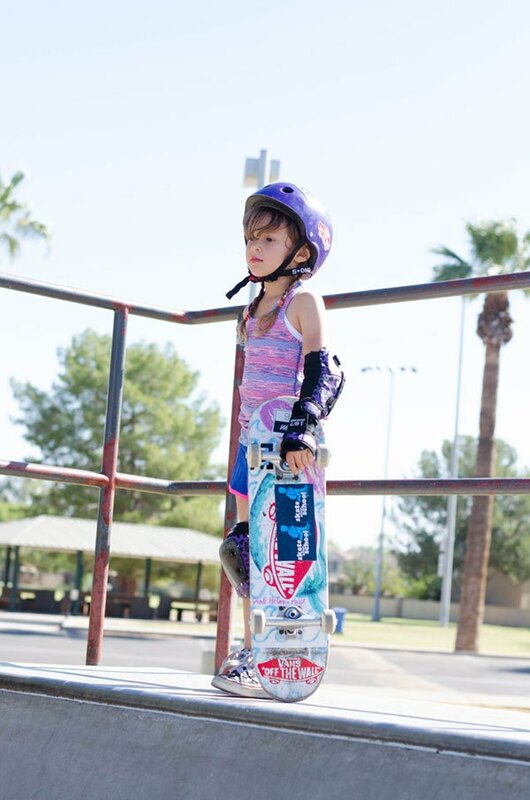 How will your kid use their board once they have it? Will they just be cruising through the neighborhood, dropping in on ramps, or speeding down hills? Here are a few of the most common board styles and how they are used. Downhill Longboards – This is a whole other world of skateboarding I don’t know much about other than that you need to wear gloves so you can turn with your hands on the pavement. Warehouse Skateboards has a great reference guide for choosing the right board, and they offer free shipping for orders over $89 so that’s a win! 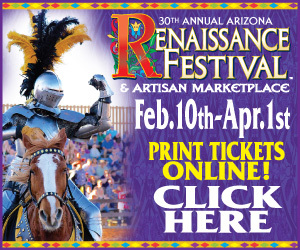 Take a peek and drop any questions you have below. 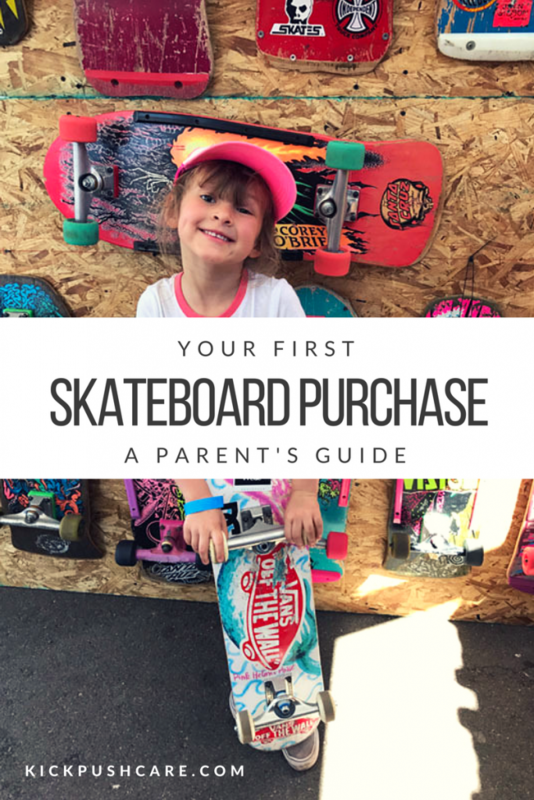 *None of the links in this article are sponsored or affiliate links, they are just great references I like to use when helping parents pick the perfect skateboard.